Buy AmevelloBlue a Coffee. ko-fi.com/bluepeach - Ko-fi ❤️ Where creators get paid by fans, with a 'Buy Me a Coffee' button. 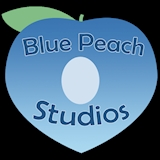 I'm Ame, I run Blue Peach Studios. I do all types of digital art commissions, especially character art and design and creature art and design. I also write, and build worlds! Welcome to my Ko-fi Page! If you like the stuff I make, maybe throw some change my way! Secured Payments. Support goes to AmevelloBlue's account. Upgrade AmevelloBlue to a yearly Gold Membership with a one-time payment.